This week has been an extremely busy one for programme board meetings across health and social care. With the boards for Integrated Personal Commissioning, Transforming Care, New models of Care and Leadership all meeting in the last week. Our integration catch up meeting yesterday was a very quick one, due to us all having to be at the employee forum by 9.30am. However, we still managed to fit in a discussion on information and technology, the Care Act, Spending Review and a new cross-government task group. Mark Golledge circulated a short update on IT for us which he’ll be happy to share with you if you contact him. He attended a Kings Fund event on Wednesday (17 June) on the National Information Board. It was chaired by Tim Kelsey (NHS England’s National Director for Patients and Information) and there were presentations from Simon Stevens, George Freeman, Duncan Selbie and Una O’Brien. It was encouraging to hear from Mark that social care was more visible on the agenda across the day. Jo David informed the group that we’re still awaiting a ministerial decision on whether the 2016 Care Act reforms will go ahead as originally planned. In the meantime we have to presume that they are, and continue ahead at pace to help prepare local authorities and care providers to implement the changes needed. Our submission on the Spending Review is being finalised this week, in preparation for our launch at Annual Conference at the end of month. I hope many of you will be able to attend at some point over the three days. We’ve recently learnt that there is to be a new cross-government task group set up on integrating health and social care. Ministers and senior officials will meet every two weeks to discuss current issues facing the integration of health and social care systems. Carolyn Downs will represent the LGA on this new task group . 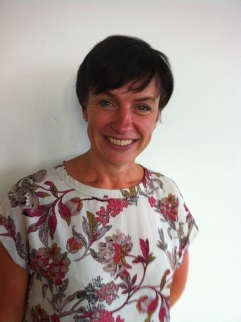 This week I’m using my blog to introduce you to a brand new member of our team - it is Avril Mayhew. Avril joined us on Monday on a secondment from the Royal Borough of Kingston. She has 20 years local authority experience; working in adult social care, both in front line social work practice and senior management. Her role with us is that of a senior advisor, leading on the implementation of the Care Act and TEASC work. One of her key tasks will be in supporting local councils in readiness for the second phase of the Care Act as well as leading on future stocktakes. Within TEASC she will be leading on the rollout of the ‘risk assessment toolkit’ that I mentioned Sarah Mitchell being busy with, in last week’s blog. This is a toolkit that helps identify risks, mitigate against them and encourage conversations with different layers of the organisations using it. It is currently being piloted by 18 councils (two per region). It will be further tweaked in September and be ready for launch at NCASC in October.